Have you been the face of ‘drama’ in your family while growing up? Did you spend countless hours in front of the mirror mimicking your favorite actor or compose your own acts? Were you the one whom, when everyone looked at, said that, “he’ll be an actor someday”, and hearing this always excited you? Did you, after watching every film, think to yourself of how you could have acted it out differently or better, than the actor in it? And, do you still feel this way, and want it more than ever? Well then, let’s make it happen shall we? Being an actor is a lot of things. It is a fine combination of technique and practice, but most importantly, an innate sensitivity to be able to understand and go beyond the obvious. Although it’s the film and movie stars that get paid in whooping amounts, TV actors are not far behind. Established actors on TV get paid up to 1 Lac rupees per day. While as a starter, you get paid anything between 5 to 8 thousand rupees per day. One of the best ways in which you can learn everything about acting, both in theory and in practice. Some of the best institutes in India for acting are – National School of Drama, Whistling Woods International, Anupam Kher’s Actor Prepares, The Barry John Acting Studio, Film and Television Institute India, Asian Academy of Film and Television. Get yourself a decent looking portfolio with your pictures, a showreel and an acting resume. You can find great formats of acting resumes, online. Similarly, you can also find photographers who are specially into making portfolios for actors. It’s important to have basic experience before going full throttle. Hence, you should look at joining acting clubs, theater groups, performance groups, etc. This will give you a great amount of experience about the craft and will also help network. To be able to get notified of opportunities, you need to find an agent who can help circulate your portfolio and also keep you informed on various auditions that take place. Don’t bank upon your agent only. 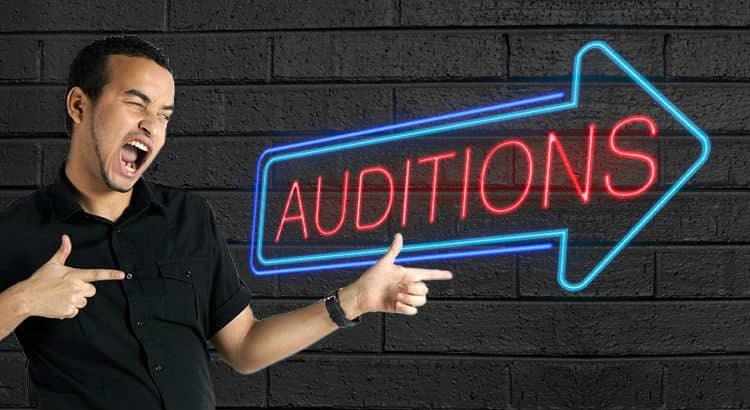 Make your own effort and start looking for as many auditions as possible. The more you audition, the more chances of you getting something. Everything else aside, it’s extremely crucial that you brace yourself for rejection, because it will happen. Every single actor faces rejection one time or the other and hence you need to be confident in yourself, accept it sportingly, and not give up. Also, it helps if you start working as an AD on a film or a TV show. It will give you an overall understanding of what goes into the production, and enhance your knowledge about the same.